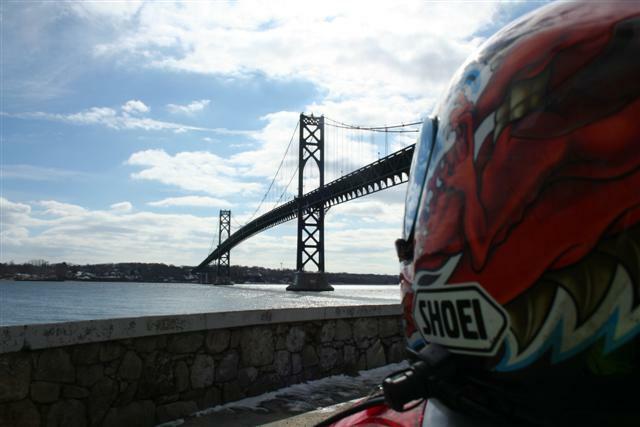 Bridges over New England…and beyond! 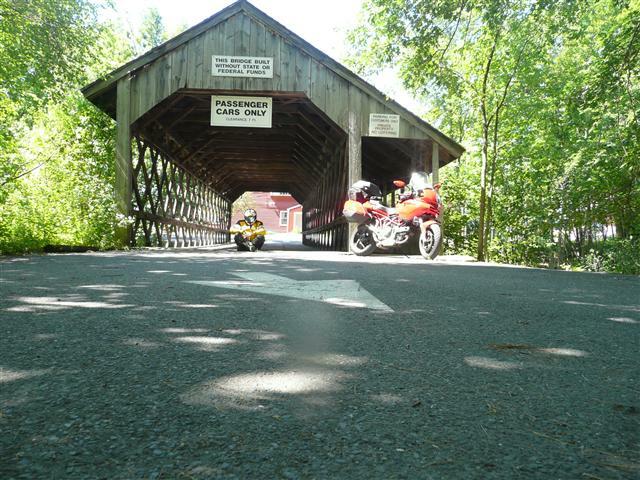 Our next stop in in NH, and its one of many covered bridges that dot the New England Landscape. 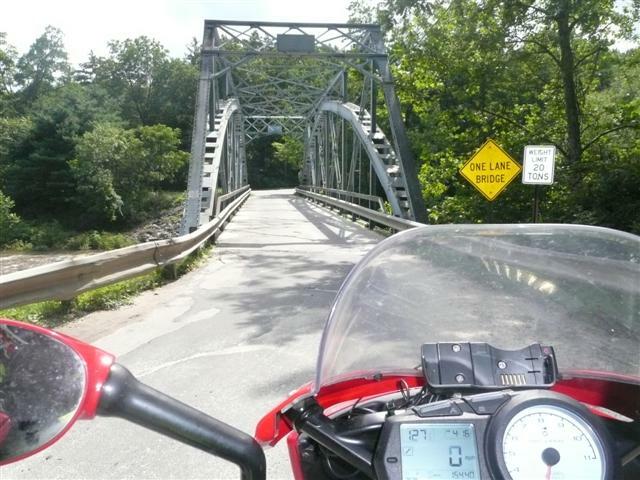 This bridge you see me riding over ( along with Redzone Rob) spans the Mascoma River in Lebanon NH. 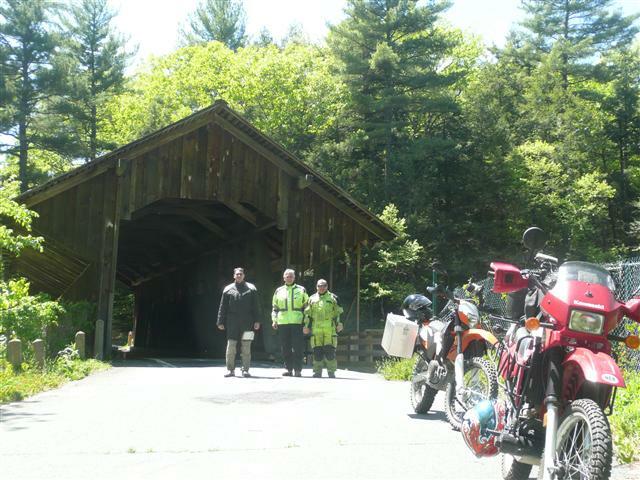 Our next covered bridge was visited the same day as the photo above. 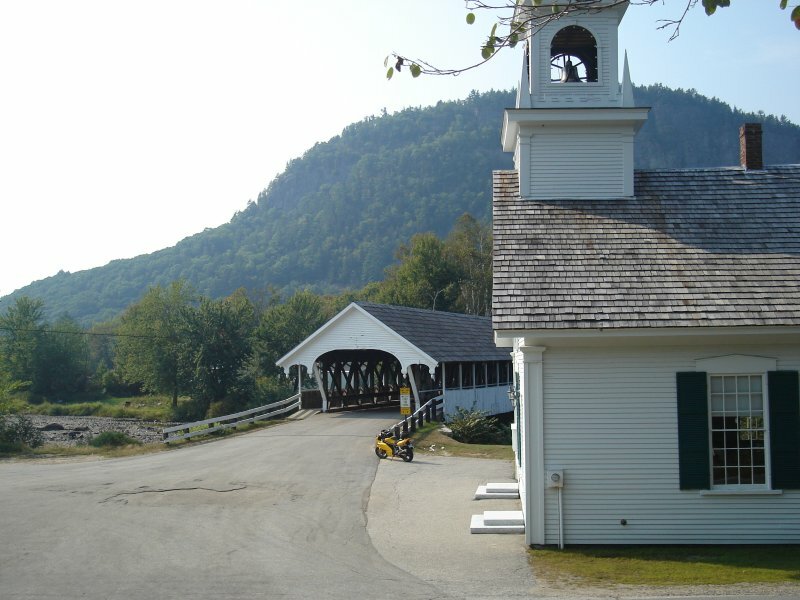 But this one is in Vermont. At the Vermont country store to be exact. 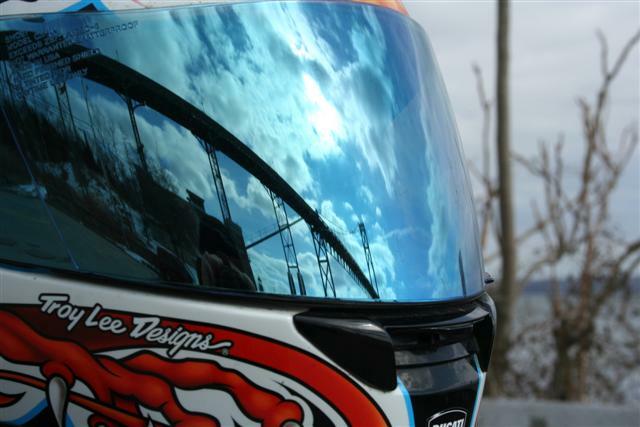 Our next two photos are of the same bridge. We need to leave New England for this one. 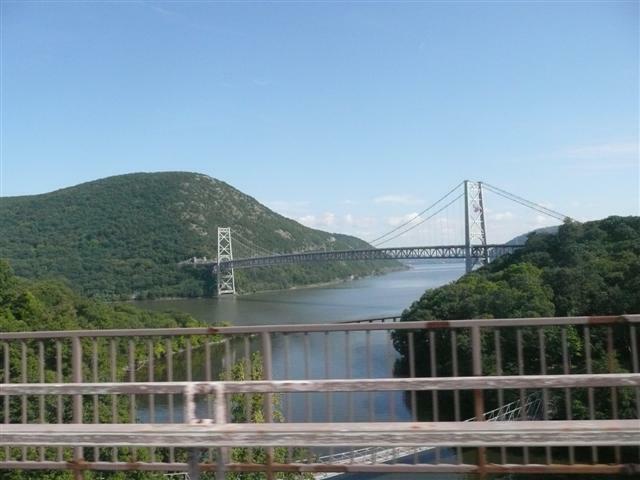 But its not too far away, the bridge crosses the mighty Hudson river at Bear Mountain State Park. 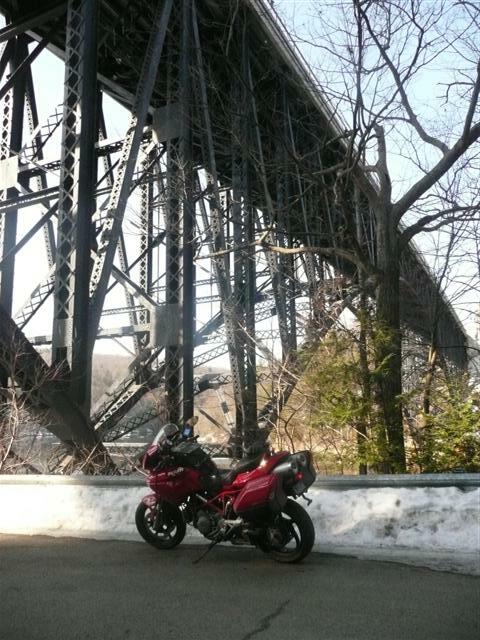 That why its called the Bear Mountain Bridge. 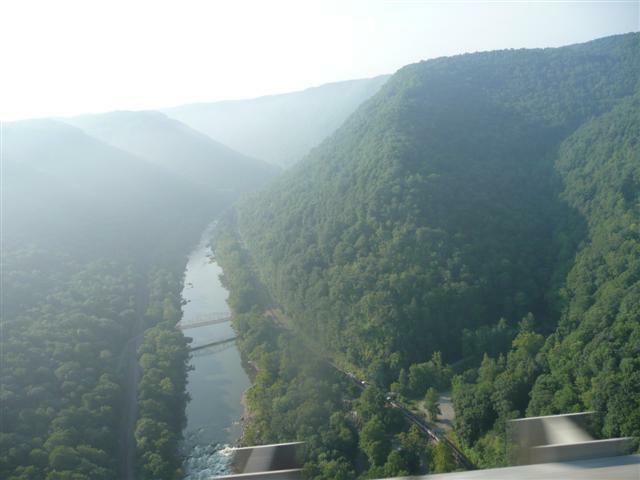 Its a $3 toll if your traveling east. 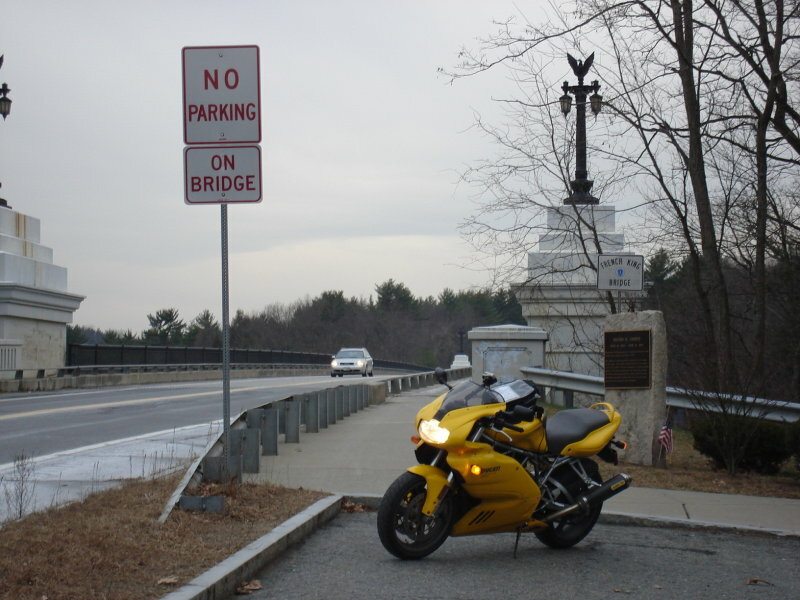 Back in New England, Fitchburg MA to be exact is where you would find the next bridge. 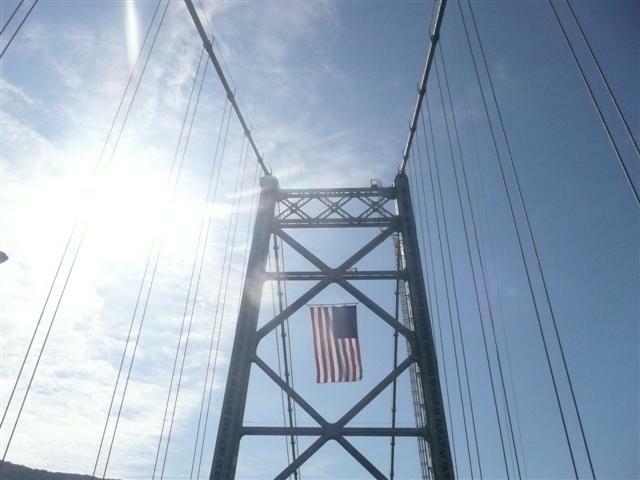 THe Arthur DiTommaso bridge replaced the old 5th Street bridge in 2003. 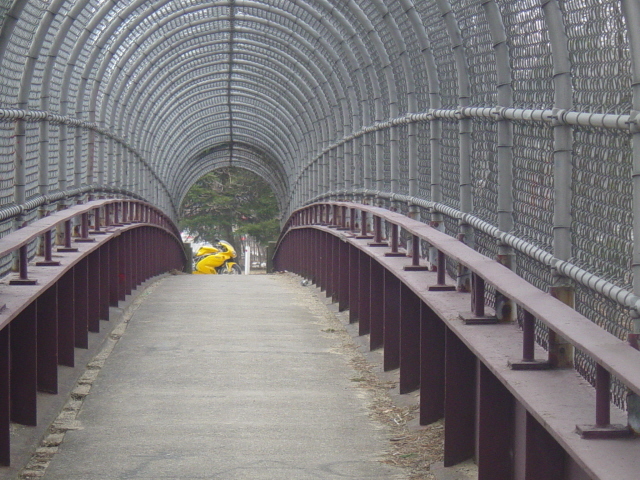 This cable stayed bridge helps locals cross over the Nashua River and some railroad tracks. 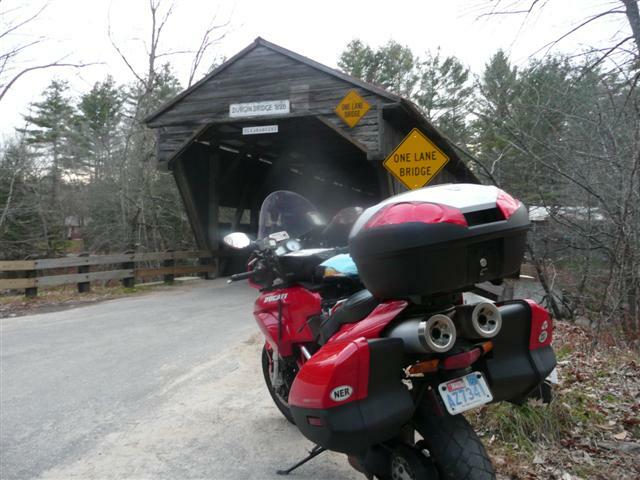 I love all bridges..even little private bridges like this one. Its located somewhere in Southern Vermont. This is a private drive but I had to get a photo. 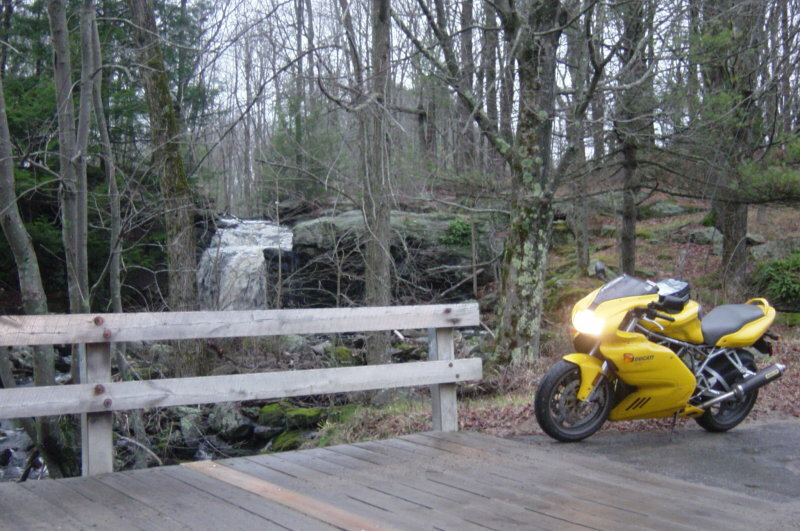 You will not see my motorcycle in this next photo, but I did take ride it too this spot in Hillsboro NH. 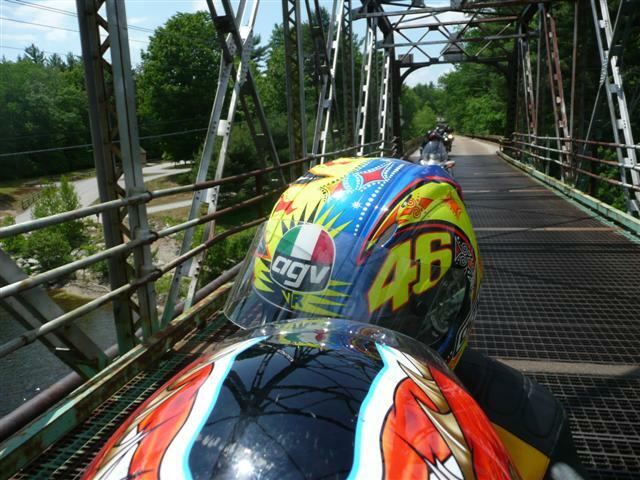 You will need to walk thru a very cool out door museum of old trucks to get this view of this route 149 bridge that crosses the Contoocook River. 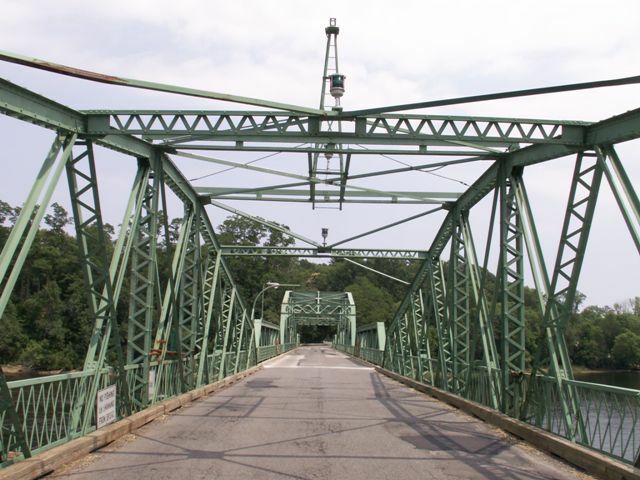 This next cool looking bridge is in the North West corner of CT. Falls Village is home to this one lane steel bridge. 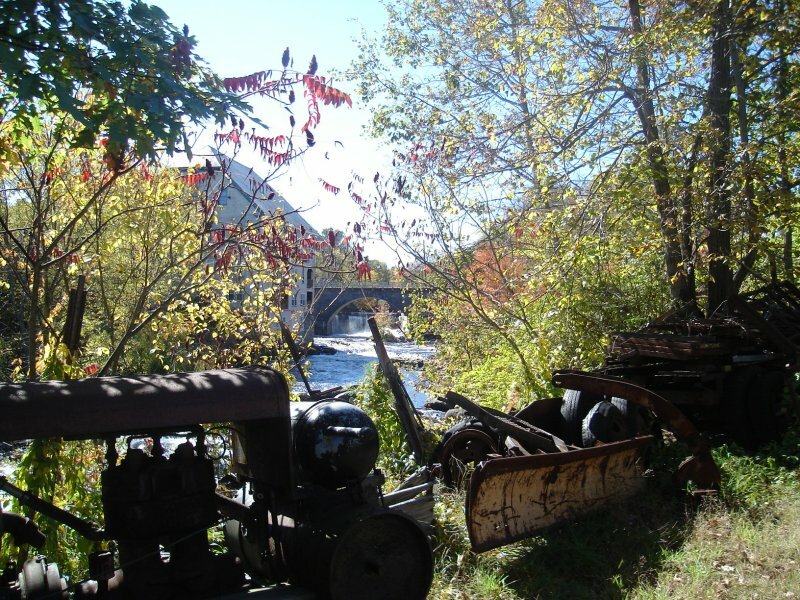 She crosses the Housatonic River at a old historic iron works site. 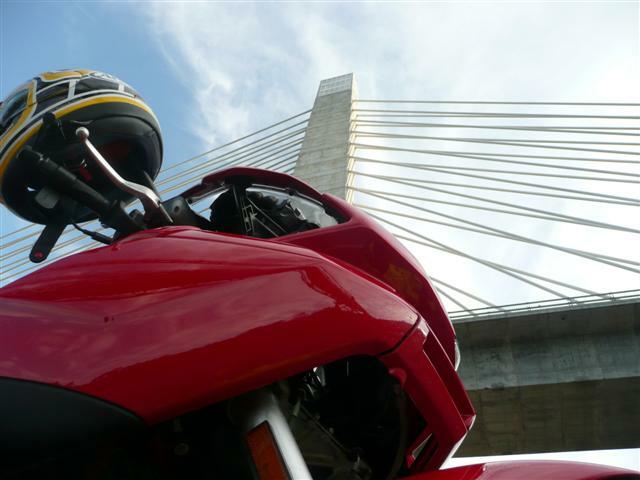 The roads around this bridge are not much wider then the span itself but are wonderful twisty roads to take your motorcycle on! 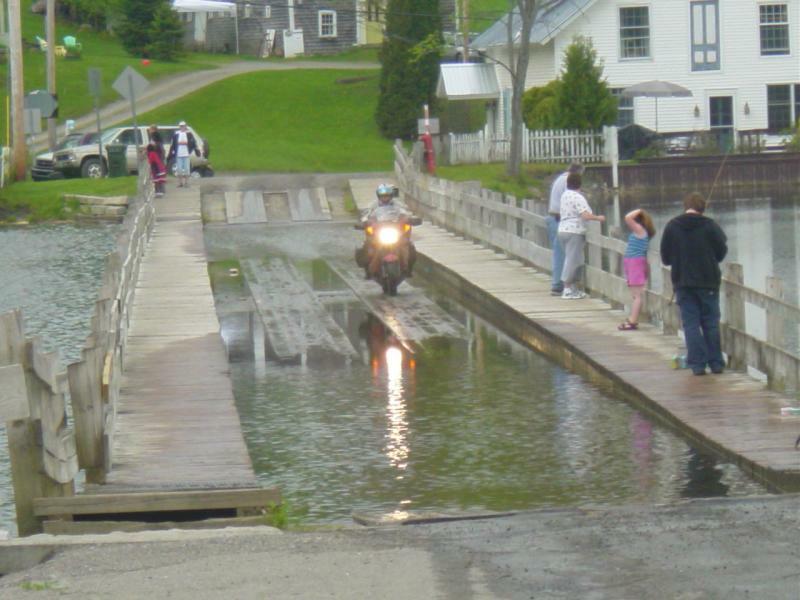 Okay…sometimes you cant use a bridge to get across a river..why? Well they use ferry’s instead. I thought I would include the few ferry’s I’ve used in the past. 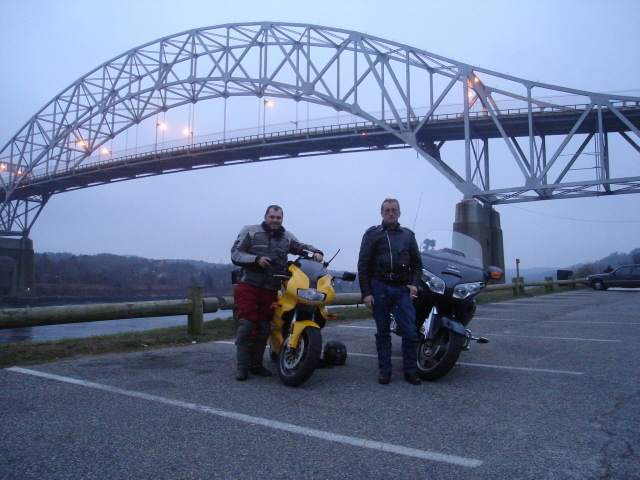 The first one is somewhere in Nova Scotia and the second one crosses the Connecticut River in Chester/Lyme CT.
Now back to bridges, this next one is something you gotta go see if your in Maine. 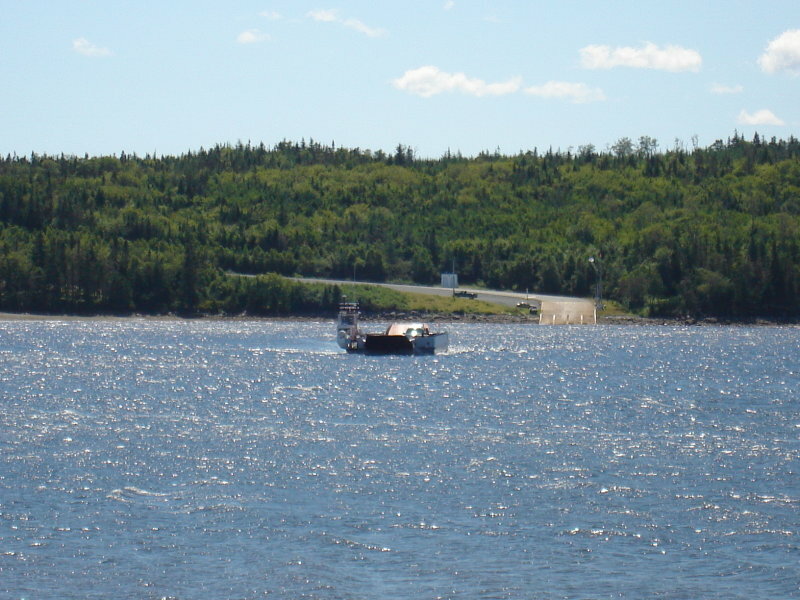 The Penobscot Narrows Bridge crosses the Penobscot river using US route 1 as its road surface. 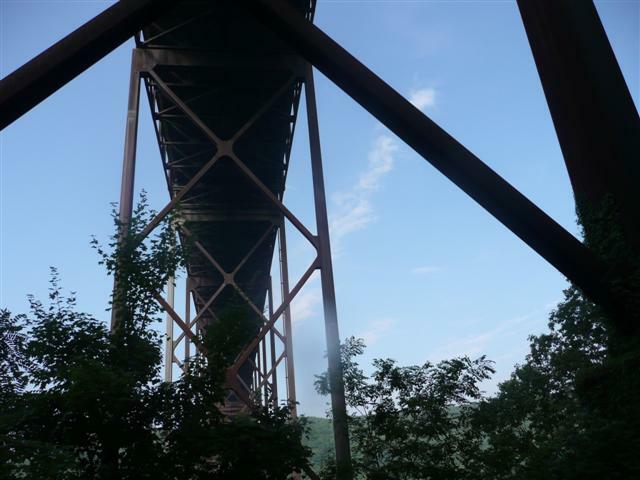 This bridge is only a few years old (you can see the old one it replaced in some of the photos) and is really cool to visit. They have an Observatory at the top of one of the towers. 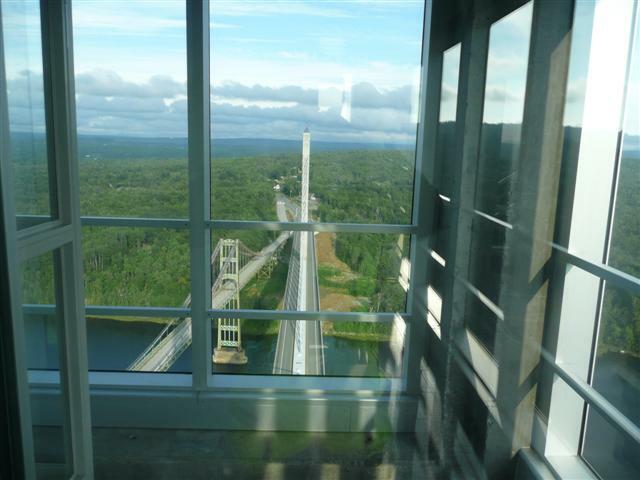 Its 437 feet above the river making it the tallest public bridge-observatory in the world! Another bridge I found while exploring one day. 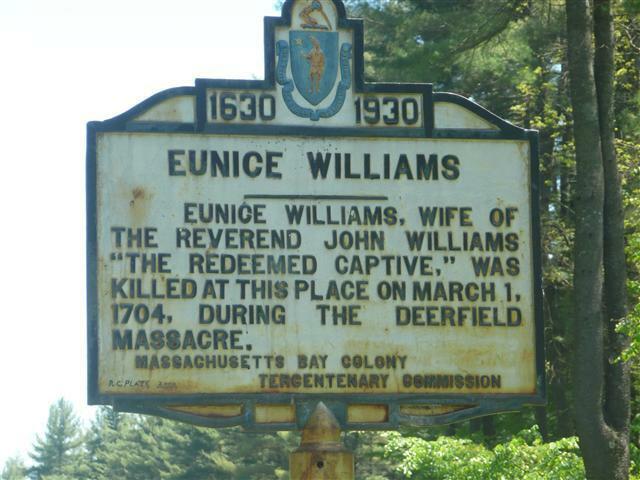 This one is located on Holland Rd in Brimfield MA. 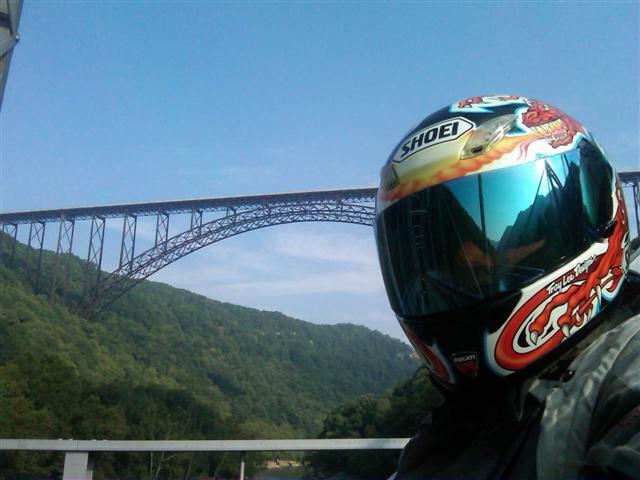 Most likely it was the original bridge that got replaced with the one I was standing on to take the shot. Right down the road is the beautiful French King Bridge. 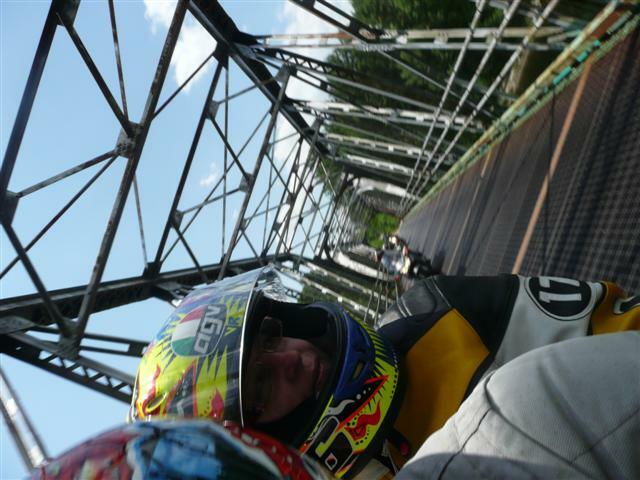 Another CT river crossing. 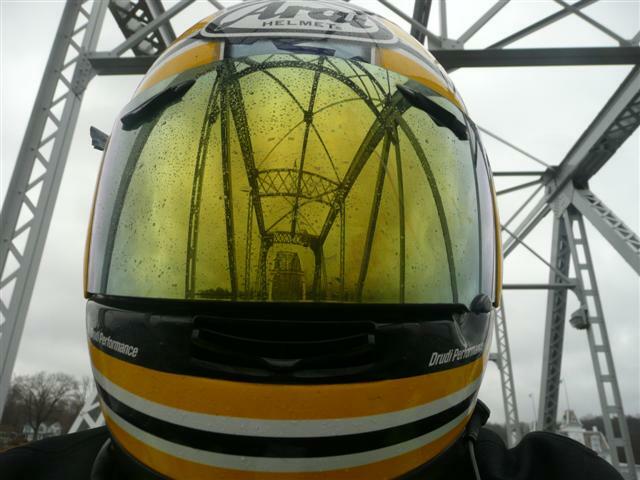 Not too many of these bridges allow for a view like this from below. 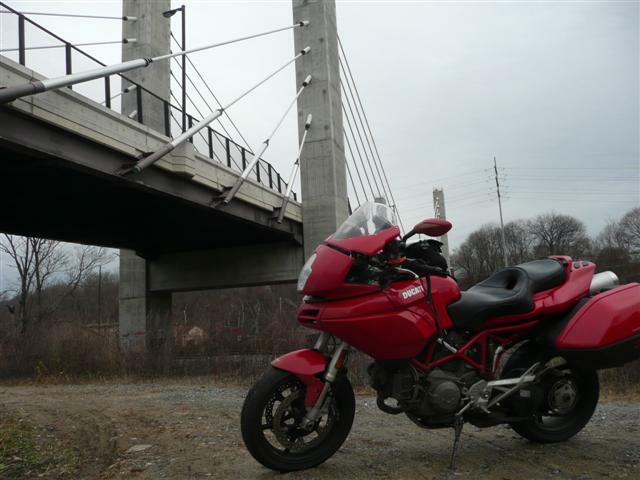 I have photo’s of 3 different bike at this bridge. 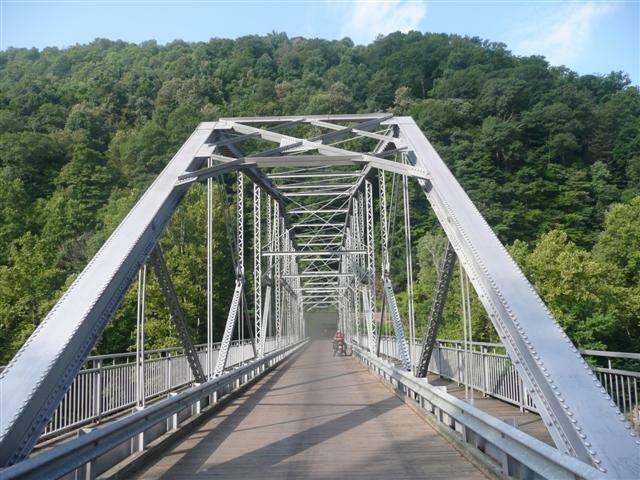 However I’ve been over this bridge with all of the 19 bikes I’ve owned since 1983. 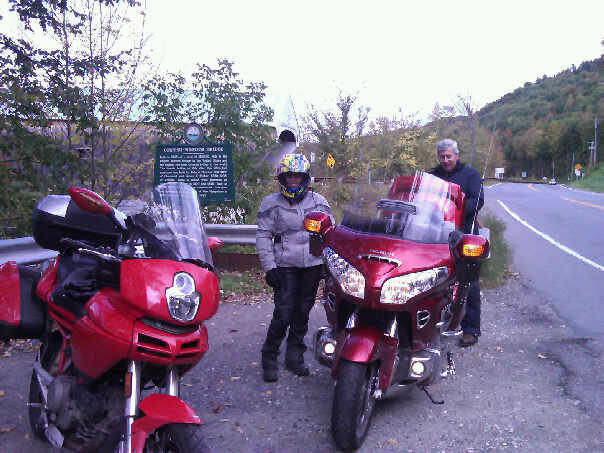 This was always the start of the Mohawk trail for me. 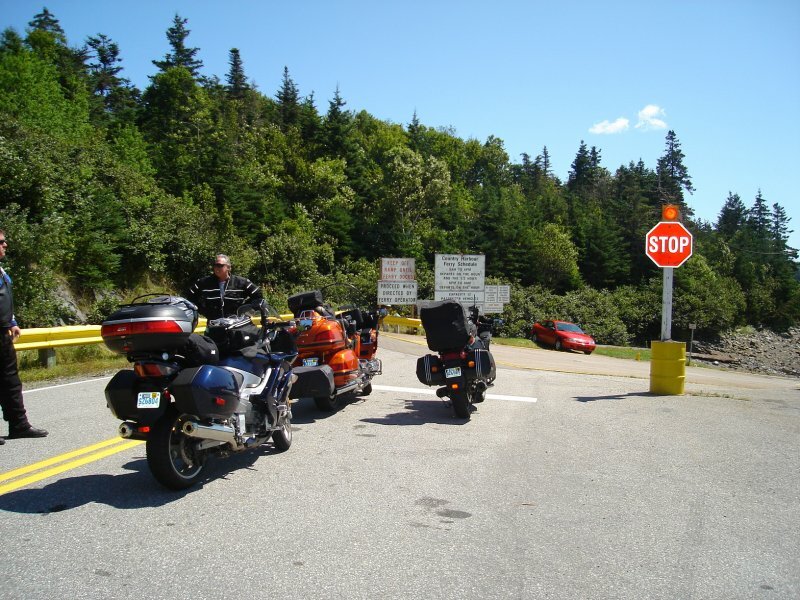 Another great road to take your motorcycle on if you haven’t already. 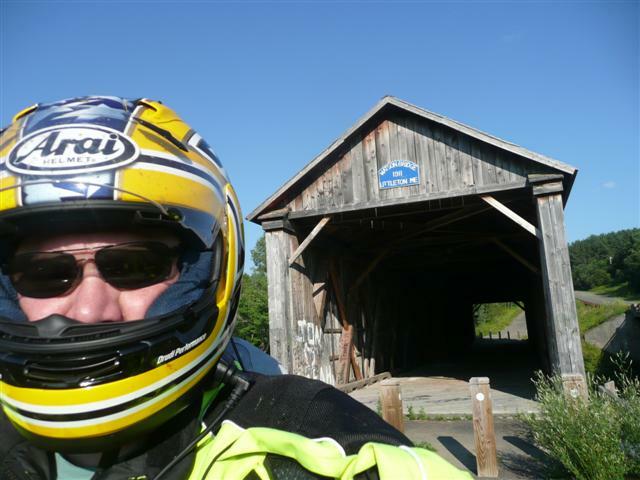 Now back to covered bridges. 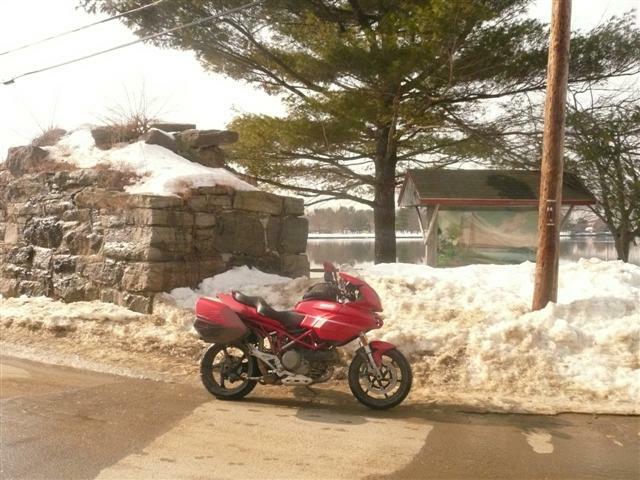 The next is just off the best road in MA to ride. Rt 116 in Conway is this road. 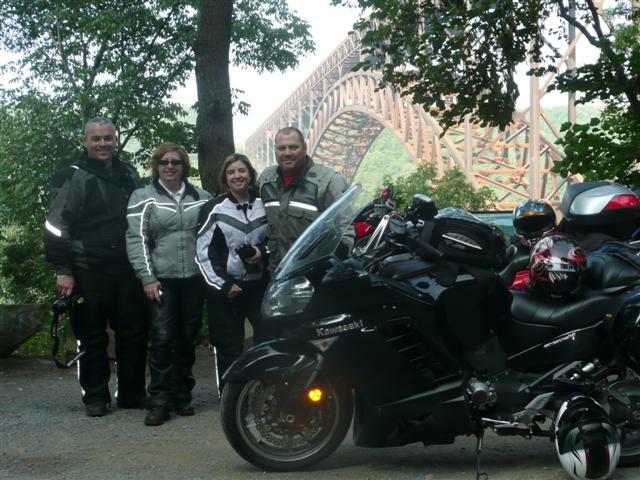 This bridge is just after the center of town and right before the really nice twisties start. 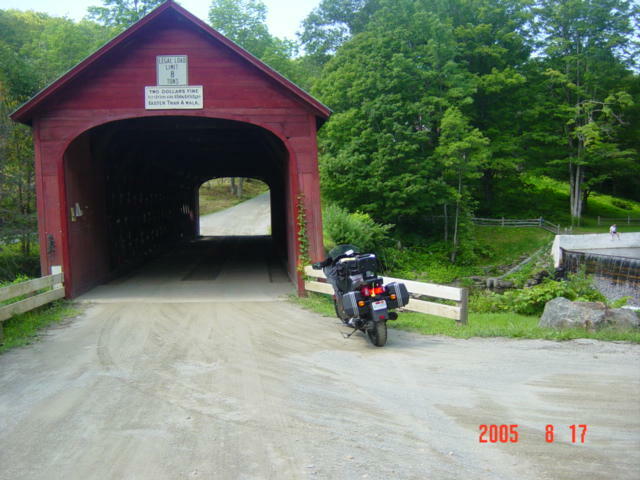 Our next covered bridge ( really 2 of them here, look closer ) is in Vermont. My buddy Dave was with me on this cold November day. 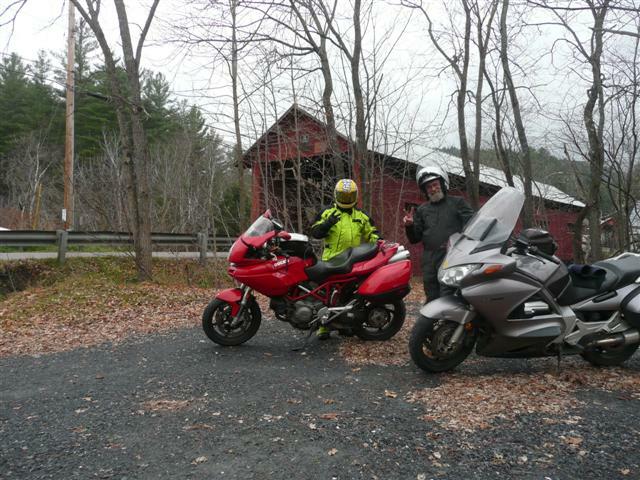 Northfield Vermont has 5 covered bridges, these 2 plus one more are on Cox Brook Rd. 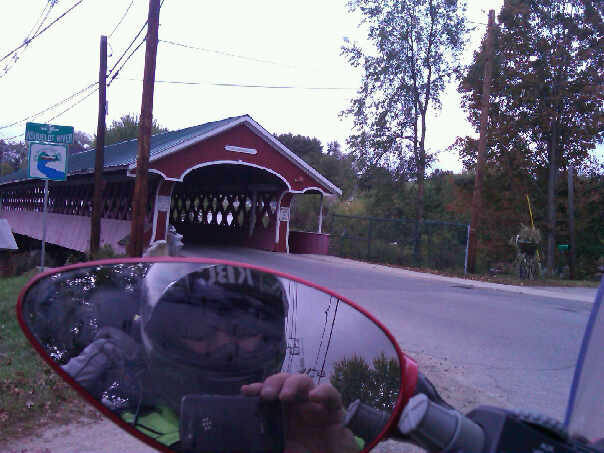 This group of bridges is also the only place in Vermont where one covered bridge can be seen from inside another. This next bridge is north, or really Down East. You know that section of the Maine coast that looks like it sags down from the state. Not sure if that why its called down east but it sounds good to me. 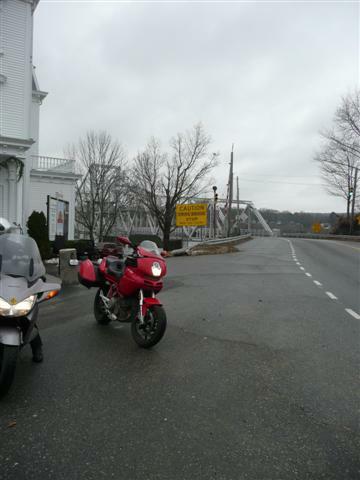 If you want to drive in the tiny town of Beals Maine you need to cross this bridge. I have friends that own a summer cottage further out on Great Wass Island so Im always in a good mood when I cross this bridge. 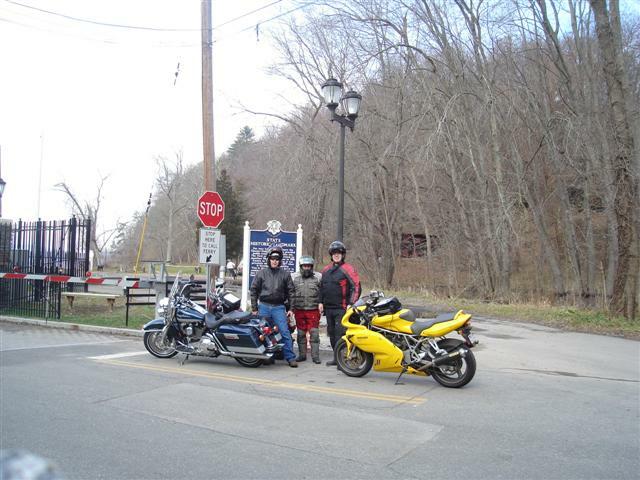 Several of my “biker” friends followed me on this crossing. 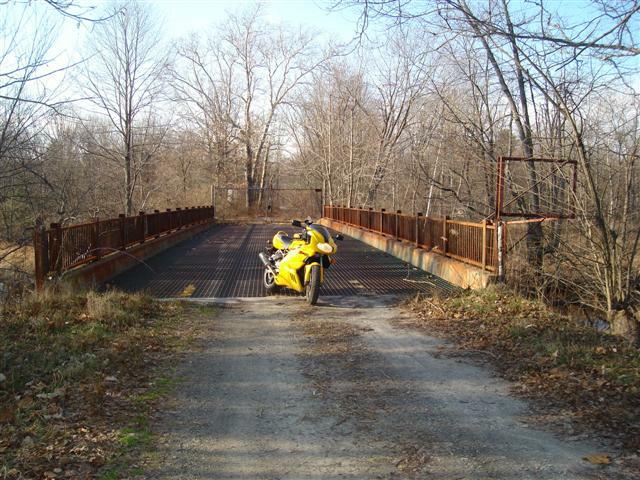 I came across this bridge at the end of a dead end dirt road. 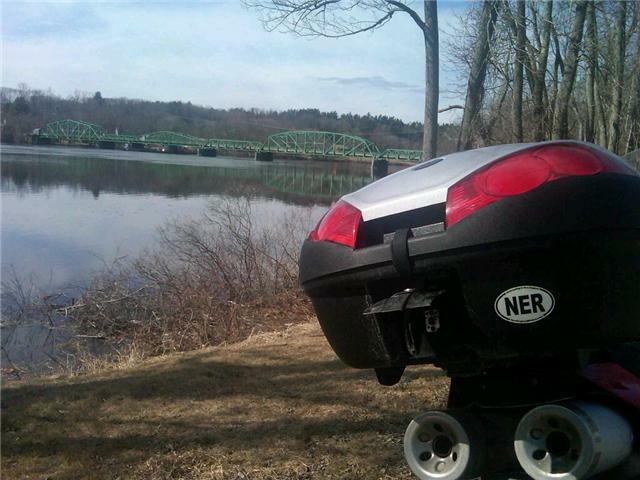 She crosses the Nashua River in Harvard MA. 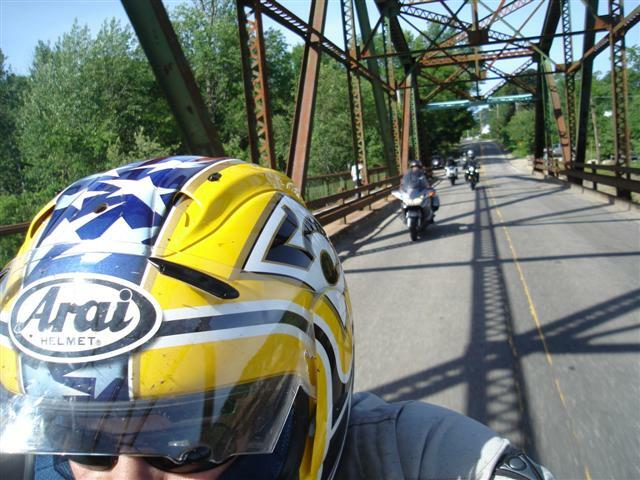 I wish I remembered where this next bridge was. I do remember the time of year, it was late in December and the temp was close to 60 degrees. 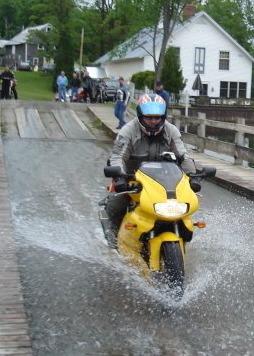 Even though it was a rainy day I had to get out and ride. 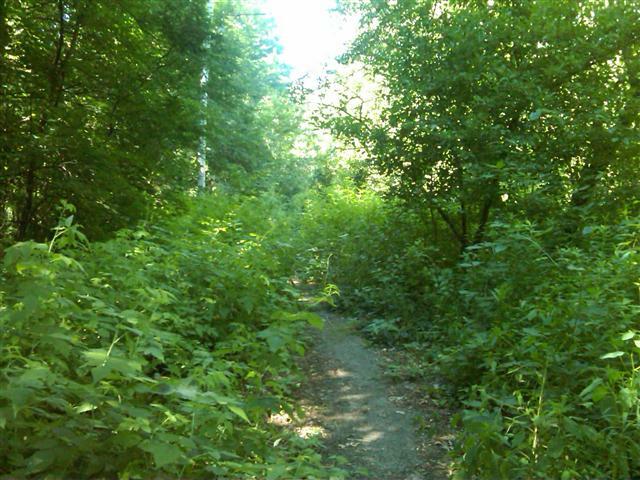 I found this neat little spot somewhere in Hubbardston MA. North we go again…this time I mean really North. 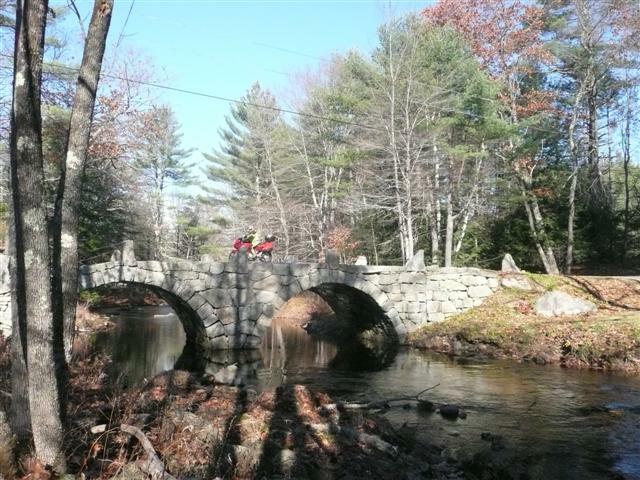 This bridge is in Littleton Maine…get out your map and see if you can find Littleton…its far away…north of Houlton! 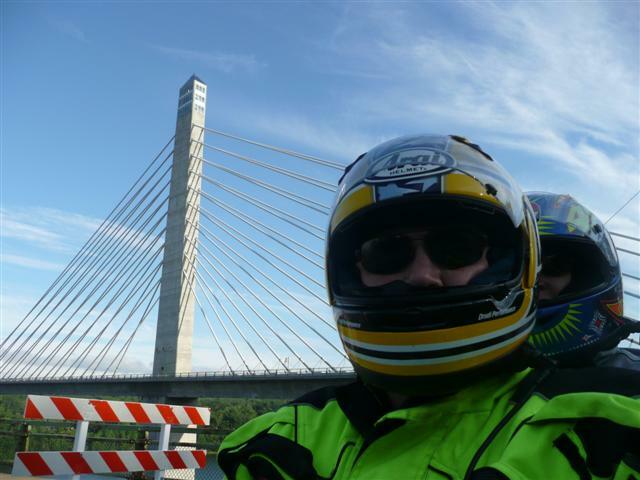 This bridge is Maine’s youngest and really is in the middle of nowhere! This next stone arch bridge is a mortar free bridge. 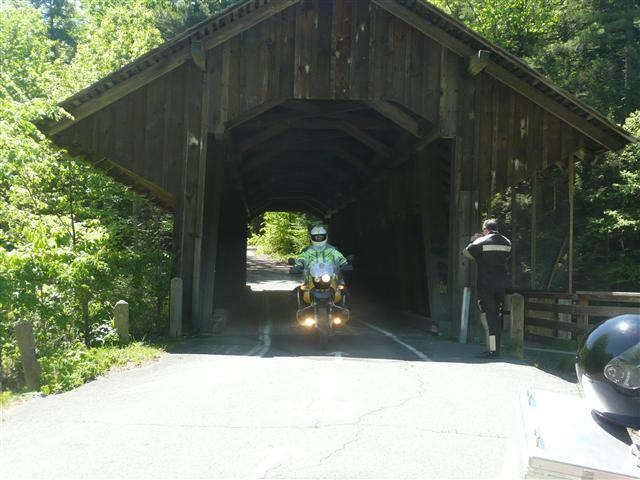 She crosses over Beard Brook and is called the “old carr bridge” You can find her in Hillsboro NH. Back in MA, and what a change from southern Vermont. 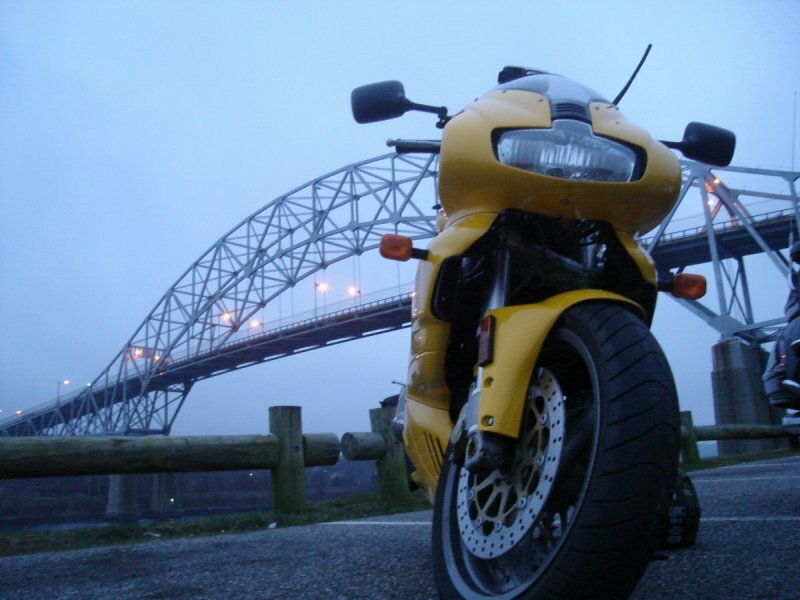 This next spot is along the cape Cod canal. 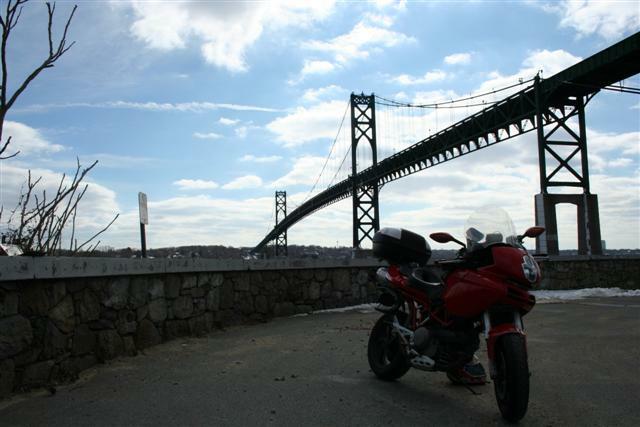 Two massive bridges cross this canal, and this one is the Sagamore Bridge. She was built in 1933 along with sister bridge the “Bourne” just a few miles south. 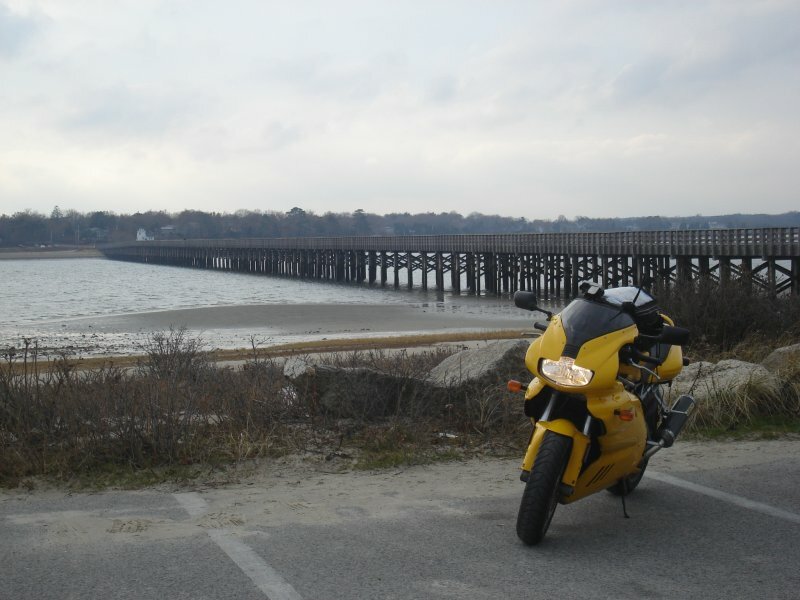 She connects eastern MA with Cape Cod and can be a real headache to cross in the summer months. 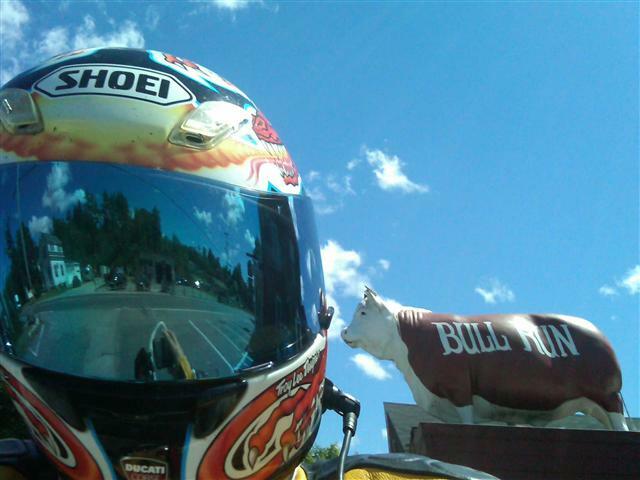 This next shot won me a spot on the New England Riders Calendar. 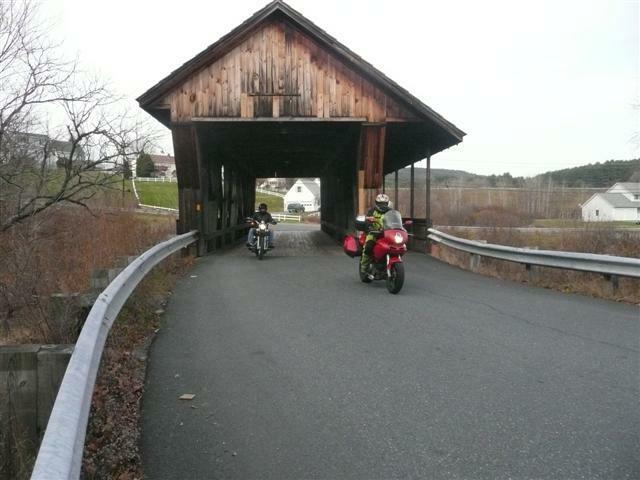 Like many covered bridges in New England she is listed on the National Register of Historic Places. You can find her in Stark NH. 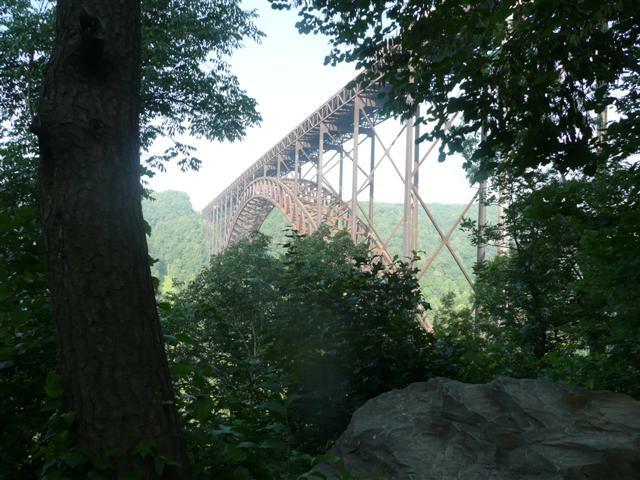 If you can find Stark you will find this bridge. 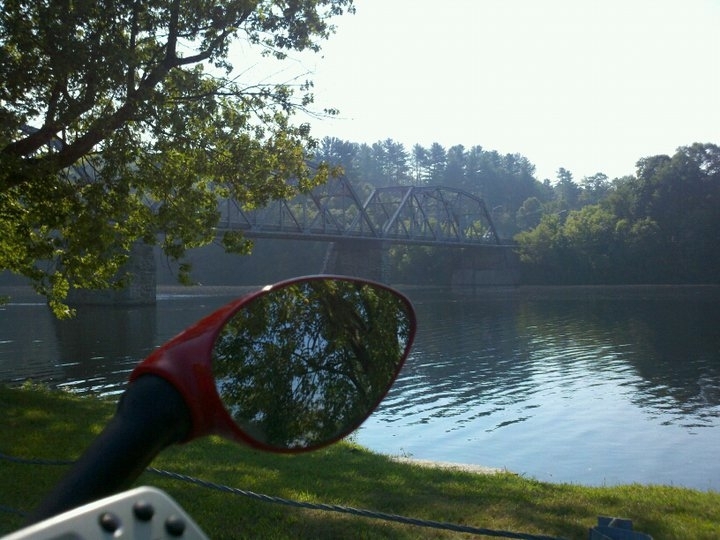 GOODSPEED OPERA HOUSE bridge is what I call this next one. 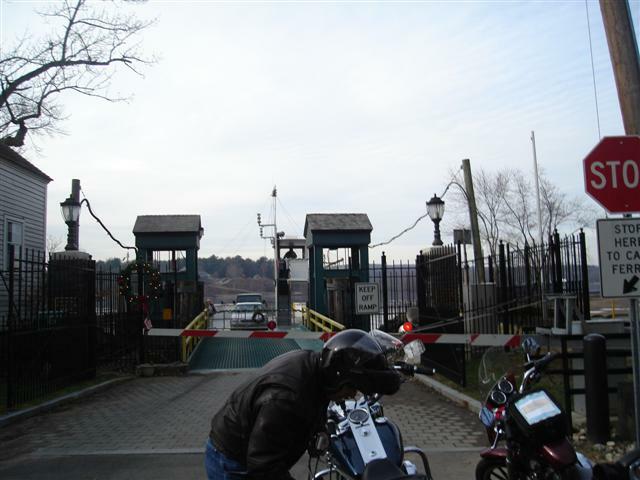 But her real name is the “East Haddam Swing Bridge” is located in East Haddam of all places. 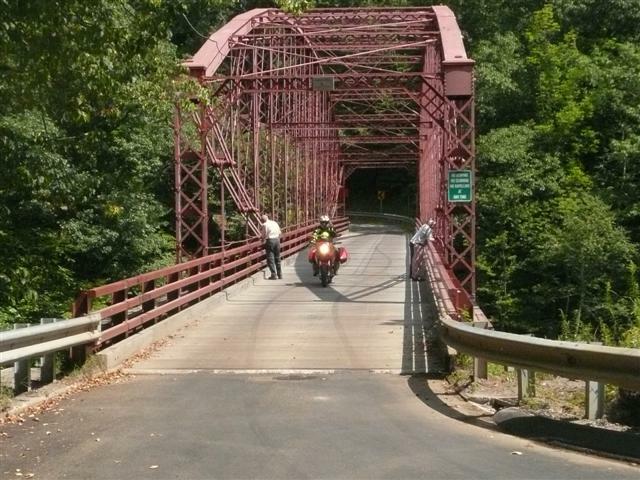 She crosses the Connecticut river just a few miles north of the Ferry that is listed above. 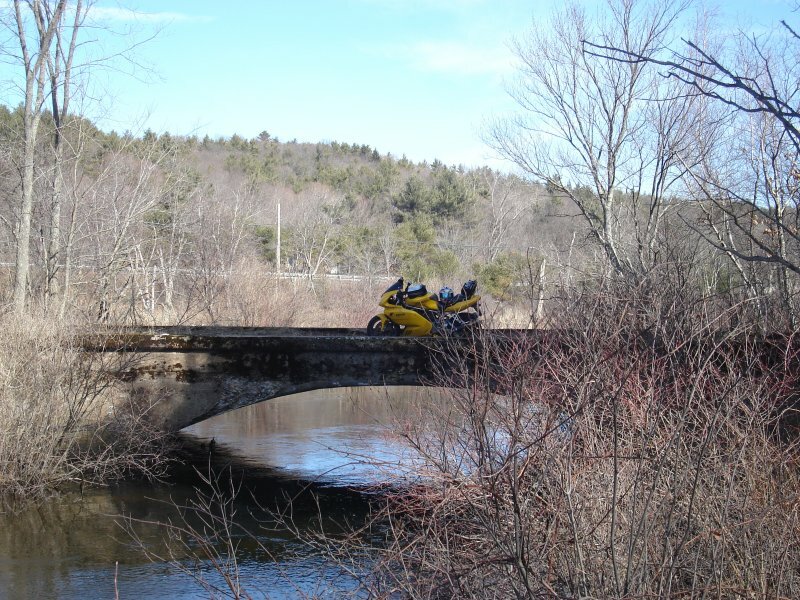 The pumpkin seed bridge you see below crosses the Deerfield river in Conway/Shelburne MA. 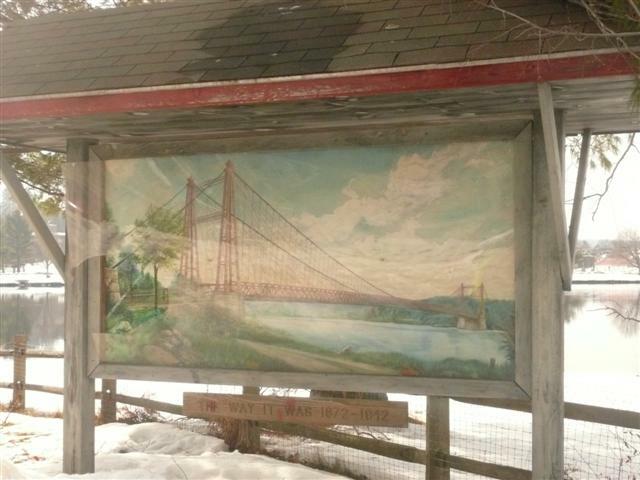 The Bardwells Ferry bridge is quite the site to see. The roads that lead to it are also well worth the trip! 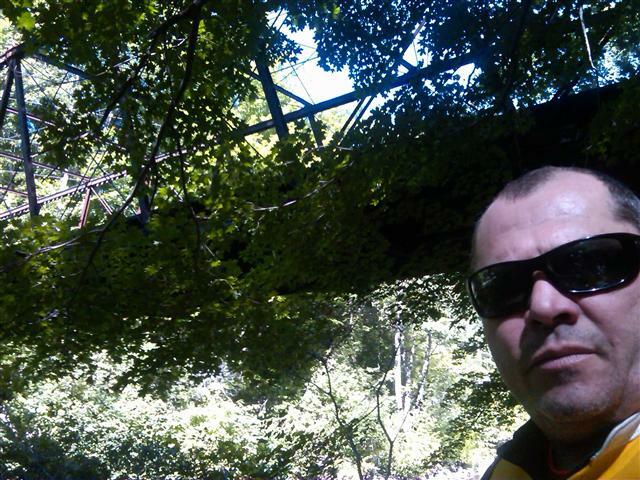 My travels looking for bridges continues. Along a stretch of Rt 70 in Lancaster you notice some government signs on one side, warning you of the old Fort Devens military training area. 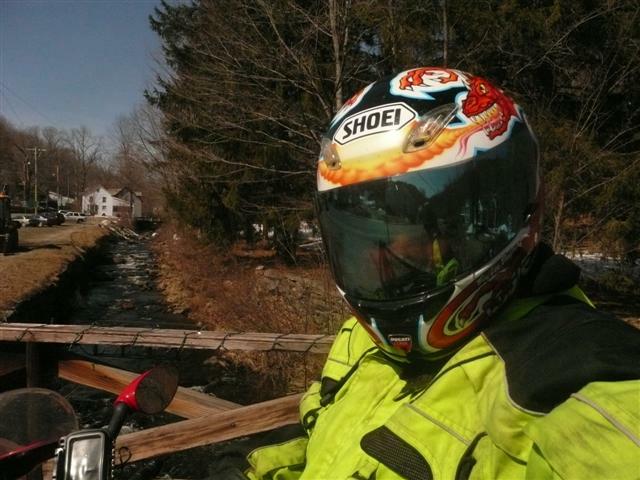 But on the other side the road follows the Nashua River, once considered the most polluted river in the Northeast, but now its clean and flowing well all year. Spanning the river along this road is an old closed bridge, I had to walk thru a dense over growth to find it. Growing up a few miles for here I’ve spent some time climbing the fence and walking across this bridge, and also a few nights partying with friends underneath. As well as the one from that litte bridge you see way down there.. 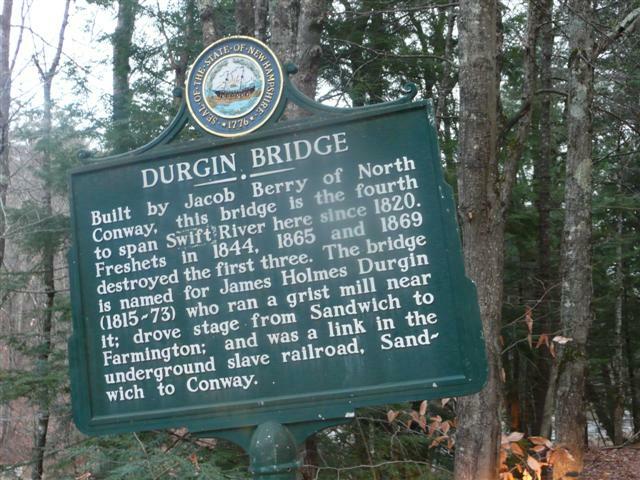 I love these old bridges and the historical signs you usually find next to them. 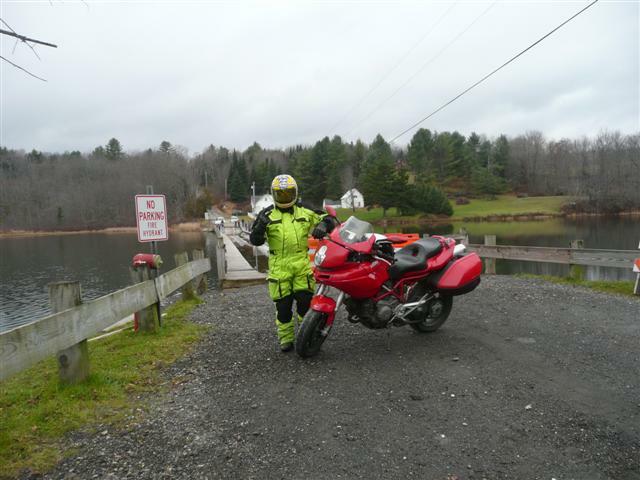 It was a very cold day when I snapped that photo, I had done a great 400 mile ride on December 2nd when I stopped here at this one. 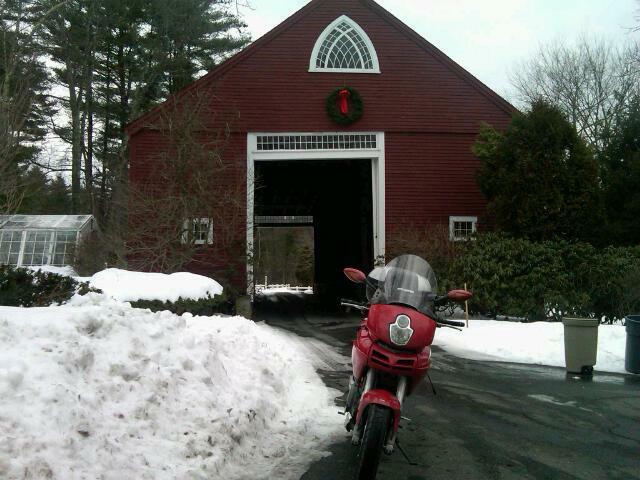 Now back to some cold weather riding..it is New England after all. 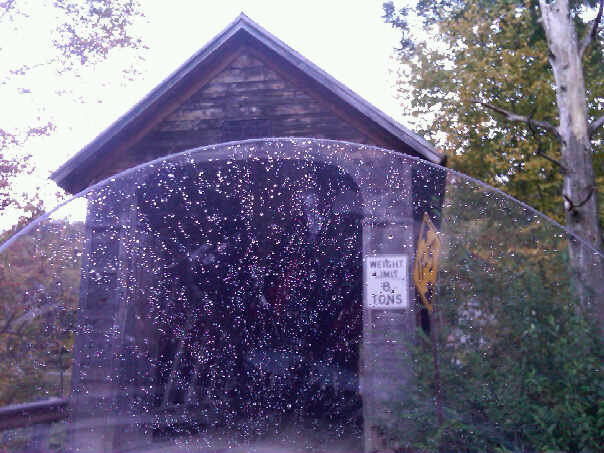 This one is just a bit different, I found it on a covered bridge website, but its really a old barn with a door on both sides and a road that runs thru it. Close enough so thought I would share it with you all. 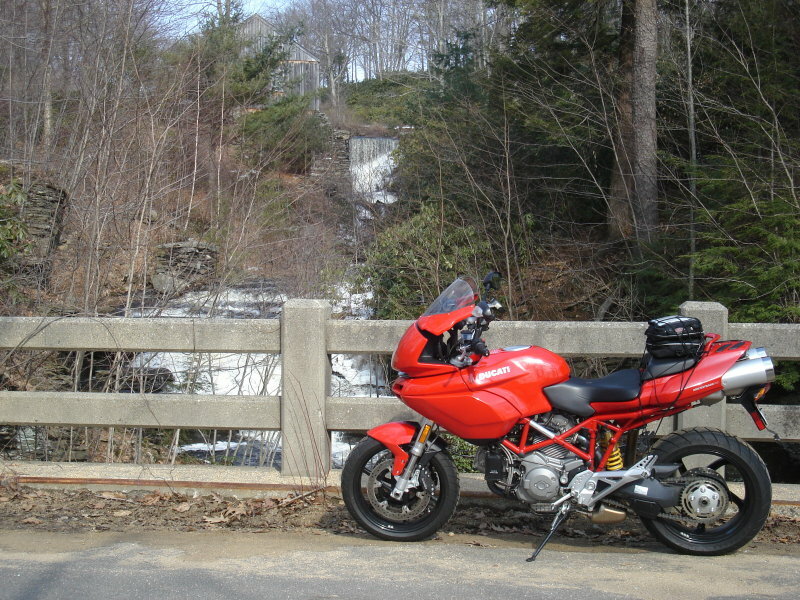 Staying with the cold weather riding theme, this next one was visited on a nice day in February, Ive been to this spot on many different days and with several different bikes, but I will share the photos from this day with you. 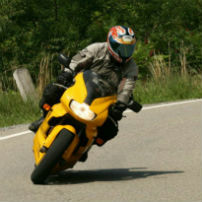 This is certainly not the end, Its just the beginning of a journey that will never end as long as Im riding. 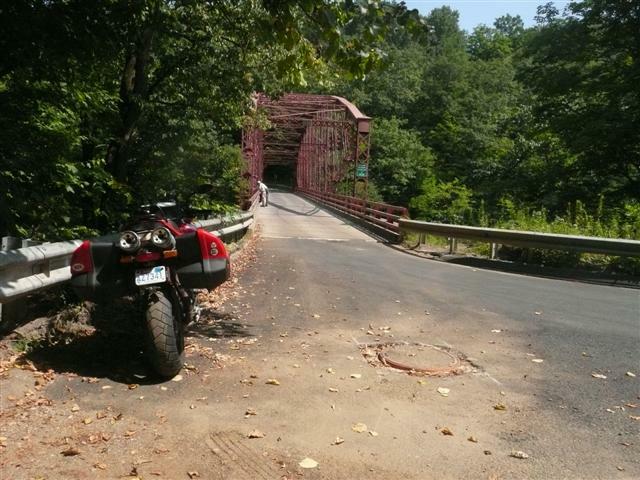 I have many bridges that are on my list of places to go, and I sure I will find some surprises along the way. Which Ricky Lumpkin Jersey do you ever buy? 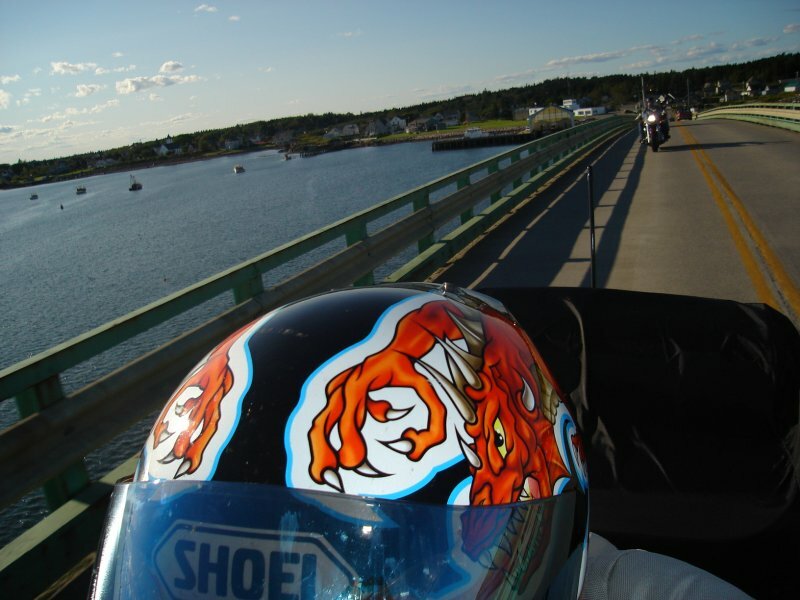 57 Josh McNary Jersey on Bridges over New England…and beyond! 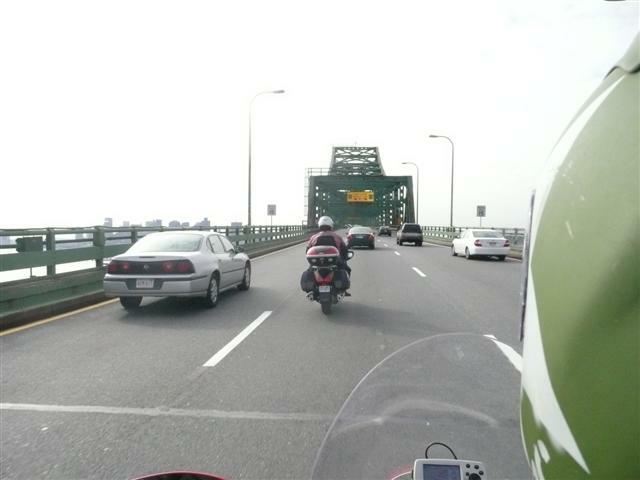 sikka greens on Bridges over New England…and beyond!